Why we love him: The first thing he did when he took over as CEO earlier this month is shake up management. 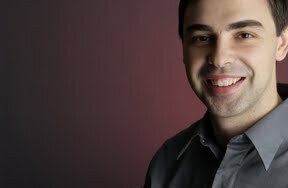 To foster more innovation he has empowered the individual groups within Google (i.e., YouTube, Android). In many way, Mr. Page is the opposite of the Microsoft's Steve Ballmer. Mr. Page is a lovable nerd. Why we might not love him: Here are two critiques on Google, not directly at Mr. Page. While Mr. Page and Mr. Sergey Brin (other co-founder of Google) let Eric Schimidt run around as CEO of Google for ten years, Google lost a lot of that innovation "swagger" that a start up possesses. Google was close to becoming the next Microsoft (i.e., milking the same cow year after year). Also, I do not know how much input Mr. Page had in the net neutrality proposal it co-sponsored with Verizon, but it was a joke.